You Don't Want To Monkey Around With Monkey Malaria : Goats and Soda The surging and virulent strain is carried by macaques in southeast Asia. As their habitat is disrupted by development, the monkeys come in closer contact with people. And mosquitoes do the rest. 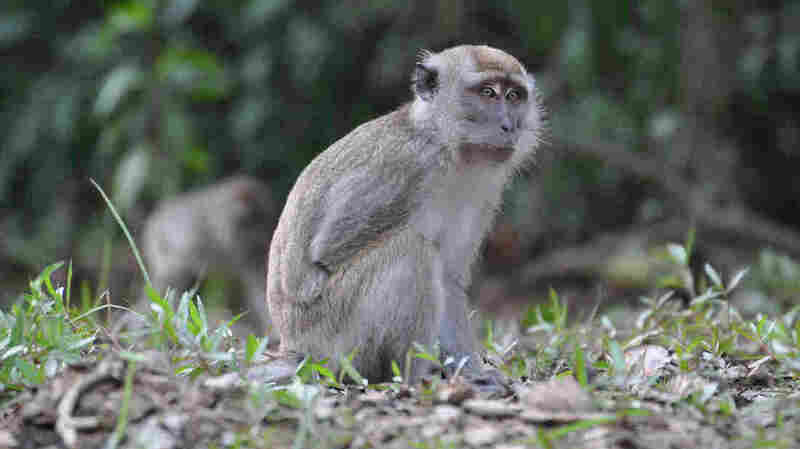 The long-tailed macaque carries a virulent strain of malaria that is responsible for an increasing number of human infections in Malaysia. In Southeast Asia, the battle against malaria is growing even more complicated. And it's all because of monkeys, who carry a form of malaria that until a few years ago wasn't a problem for people. "According to the textbooks there are only four species of plasmodium parasites that cause malaria in humans," says Balbir Singh, the director of the Malaria Research Center at the University of Malaysia in Sarawak. Now a fifth malaria parasite, called plasmodium knowlesi, has become the leading cause of malaria hospitalizations in Malaysian Borneo. "At some hospitals in Malaysian Borneo," Singh says, "Up to 95 percent, even 100 percent of the cases are actually this monkey malaria." The knowlesi parasite used to be found only in monkeys. But as farmers have cleared more land for palm oil plantations and new hydroelectric dams are built, the area's long-tailed macaques are being squeezed out of their original habitats. So the monkeys end up living closer to people. And the mosquitoes that transmit the parasite are now biting and infecting humans. It's a tough malaria to deal with. The mosquito that carries monkey malaria, Anopheles leucosphyrus, feeds mainly at night and outdoors. So the traditional anti-malaria campaigns, which hand out bed nets and spray homes with insecticides, won't help. What's more, lab technicians in Malaysia often misidentify this new parasite as the more benign plasmodium malarie. The milder form can be treated with pills; monkey malaria often requires hospitalization and a regimen of intravenous drugs. That's because of its aggressive nature. The knowlesi parasite reproduces every 24 hours in the patient's blood while the milder plasmodium malarie takes 3 days to replicate. So monkey malaria comes on fast and can quickly make a person terribly sick. It also has the potential to kill, as do some other strains of malaria. But plasmodium malarie does not. The fact that the plasmodium knowlesi parasite resides in monkeys also makes it difficult to stop the spread of the disease. In the other forms of malaria, wiping out the parasite in humans can bring transmission in an area to a halt. 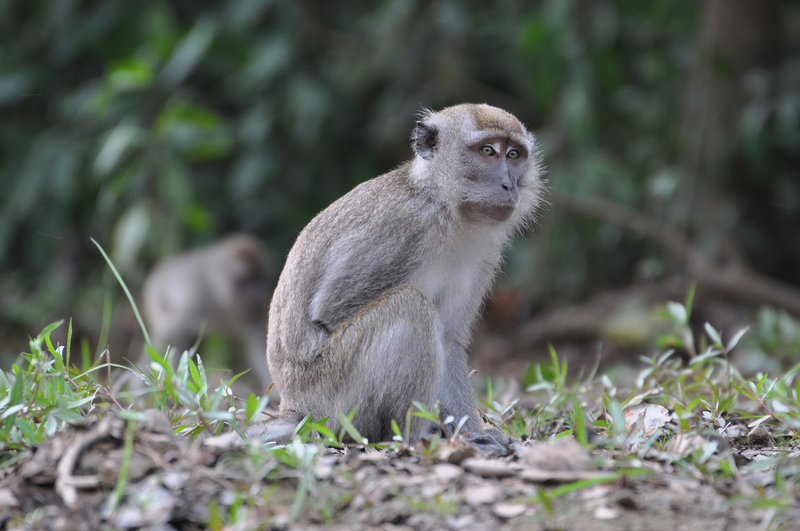 With monkey malaria this isn't possible because of the large number of long-tailed macaques in the Malaysian jungle. Singh notes that they're a protected species so any temptation to attack the disease by reducing the monkey population probably isn't feasible. Singh predicts that the number of cases of monkey malaria will only go up as human development pushes further into the habitat of the long-tailed macaque. The parasite doesn't make the macaques sick, so the parasite and the monkeys get along peacefully. The problems arise when the people are linked to the monkey malaria chain.